Examples include the development and manufacture of elevators, which move people in comfort within buildings and urban spaces, as well as construction equipment. 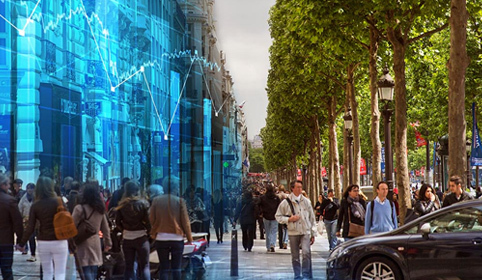 Hitachi also supports initiatives in comprehensive building management, facilities maintenance, security systems, and other areas to help make urban communities more functional. Today, as buildings grow taller and larger, elevators and escalators have become an essential part of the urban landscape. Hitachi builds ultra high speed elevators that are safe, comfortable, and energy efficient for global markets, including Japan, the Asian region, and the Middle East. By fusing our expertise in advanced information technologies (IT) and urban service infrastructure, we're contributing to the development of secure, comfortable, convenient urban communities. As societies grow increasingly complex, IT is playing an increasingly important role in optimizing various social systems. 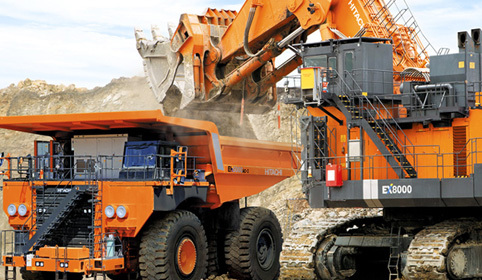 See how mining operations reach new levels of efficiency and safety. See how smart spaces improve business, operations and quality of life. 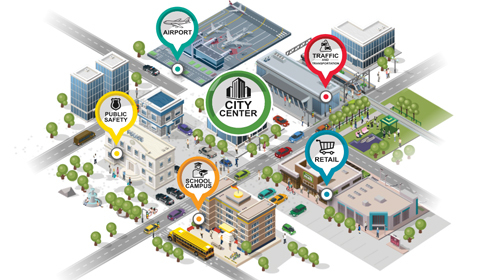 How Hitachi Smart City Solutions help people keep safe, operations moving efficiently, and businesses thriving.